Valentine’s Day is come and gone, but Scrawl Books plans to keep spreading love with a fundraiser this Sunday (Feb. 17). The post-Valentine’s “Galentine’s Party” — which originated from an episode about female friendship on the show “Parks and Recreation” — will benefit Cornerstones and the Laurel Learning Program. Authors Orly Konig and Erika Marks will discuss books, writing and life, according to the event description. The fundraiser will also have raffles and giveaways. Interested? The fundraiser runs from 6:30-8:30 p.m. at 11911 Freedom Drive. 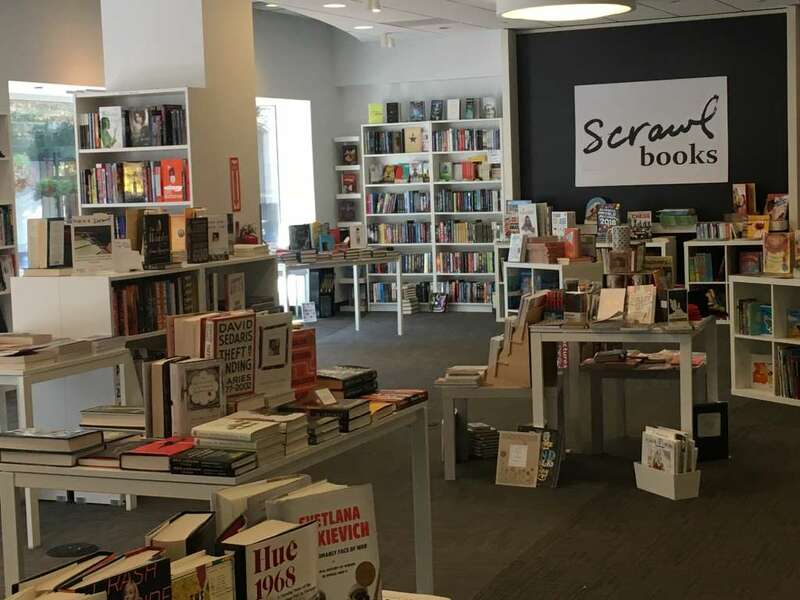 Scrawl Books asks for a $10 suggested donation at the door. Raptors Up Close (11 a.m.-noon) — Locals can join naturalists at the Walker Nature Center for programs designed for a mix of ages. Participants will be able to take an exploratory hike, explore outside or participate in an indoor Nature House program to learn about the natural world. Costs range from $7 to $9 per person. Glowing LED Artworks (2-3 p.m.) — Observe light and sculpture using LED’s, batteries and art materials. and then create your own at the Reston Regional Library. The event is for kids ages 6 to 11. Astronomy Festival (6 p.m.) — The Observatory at Turner Farm Park in Great Falls will have guided stargazing, telescope viewing and listening to ancient stories about constellations around a campfire. Hot chocolate and snacks will also be available for purchase. The cost is $8 per person if you register online before the event and $10 at the door. Stage Reading “Haint So” (7:30-9:30 p.m.) — The original work explores “the rich tradition of folklore, superstition and the mystical spirits of the dark mountains in Virginia,” according to the event description. Intrigued? Register for the ArtSpace Herndon event. 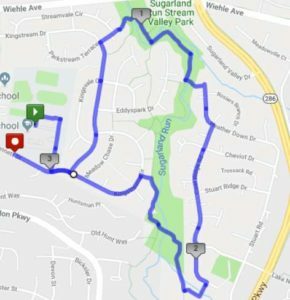 Walk or run (8 a.m.) — Join the group for either a 3- or 6-mile walk, a 10-mile run or a 12-mile trail run. 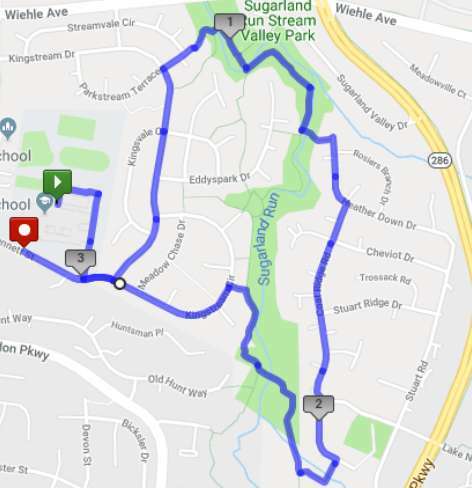 Bring your running shoes to the South Lakes Village Center. Herndon Library Board Games (1-2:30 p.m.) — Adults are invited to play classic board games. No registration is necessary. Full Moon Nature Hike and Campfire (5:30-7:30 p.m.) — Locals can explore nature while a naturalist guide will point out signs of creatures in the woods at Riverbend Park in Great Falls. Participants can enjoy a campfire with s’mores after the hike. The cost is $9 per person. 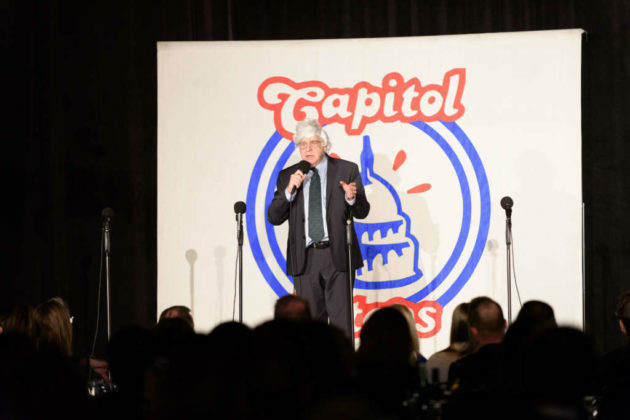 The 36th annual Capitol Steps fundraiser performance on Sunday (Jan. 27) raised nearly $400,000 for Cornerstones to help families in the Embry Rucker Community Shelter. 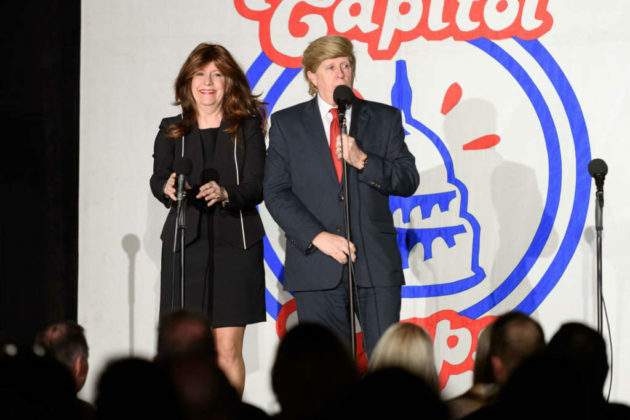 The D.C.-based political satire group is known for mocking both sides of the aisle in songs and comedy skits. 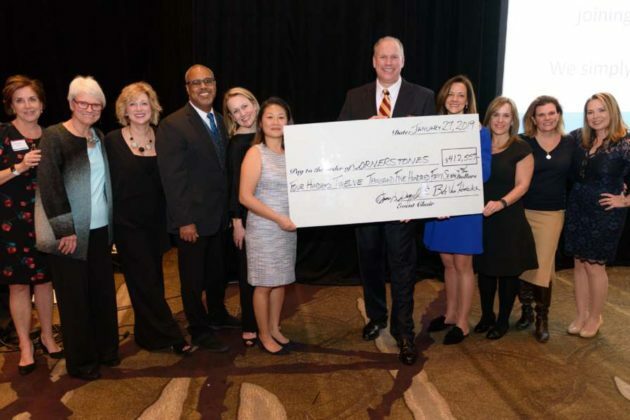 A sold-out crowd of 700 attendees came to this year’s annual benefit show at the Hyatt Regency Reston. Del. 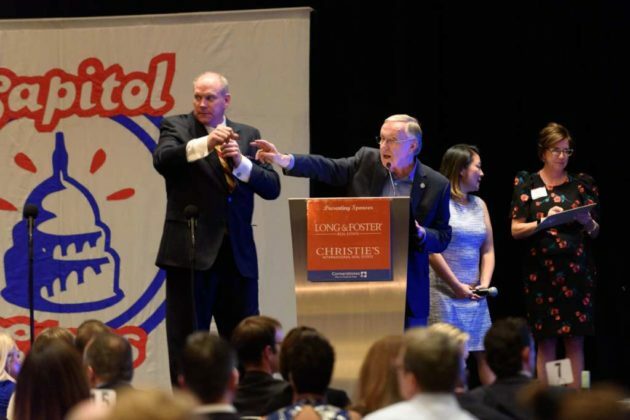 Ken Plum rallied the crowd for the annual “Empty the Shelter” Paddle Auction and then thanked them after they raised $100,000 for Cornerstones’ rapid re-housing programs. If you’re looking for a post-work drink or bite to eat, stopping by Glory Days at North Point Village Center could also help out the local high school. 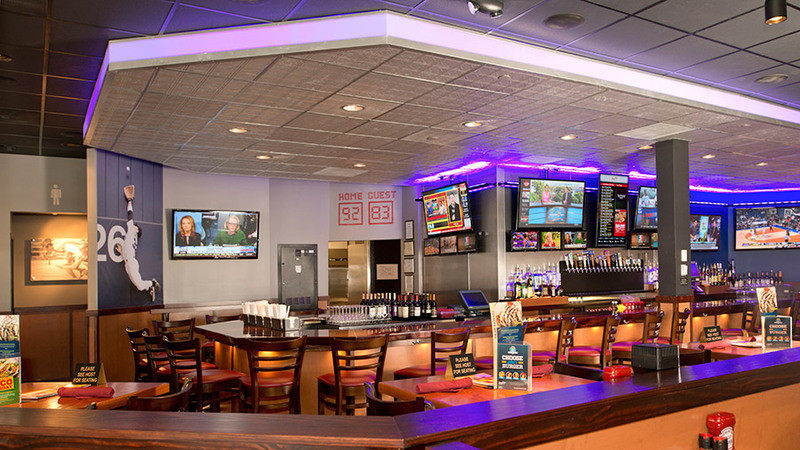 Today from 5-9 p.m., the sports bar and restaurant will be raising money for the South Lakes High School class of 2021, which is already fundraising for graduation events. A manager at Glory Days said the restaurant regularly hosts “dining for dollars” events to support local organizations. All meals at the restaurant are eligible for the donation. 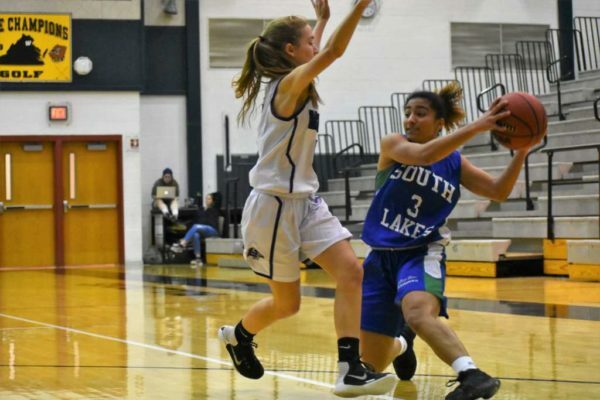 Seahawks fans can head to the Chipotle in the South Lakes Village Shopping Center next week to help raise funds for South Lakes High School girls basketball. The Chipotle at 11160 South Lakes Drive will donate 33 percent of proceeds for customers who display the flyer or mention the Seahawks. The fundraiser runs from 4 p.m. to 8 p.m. on Monday (Jan. 21). South Lakes High School girls varsity basketball won their eighth consecutive game at Washington-Lee High School on Jan. 8. Senior living can be extremely costly, but a winter wonderland reception earlier this month raised $5,000 to continue providing affordable housing and support services to low-income seniors. Hunters Woods at Trails Edge Senior Living Community, which is scheduled to open in spring 2019, hosted its first fundraiser before the facility opens. The fundraiser supported the Fellowship Square Foundation, a faith-based nonprofit that operates a senior living facility at Lake Anne. The fundraiser included a silent auction and sales of snowflake ornaments, with prices ranging from $20 for small ornaments and $100 for the largest. The Fellowship Square Foundation’s property is planned to undergo a $70 million redevelopment project to build a new facility that will offer 240 affordable housing units for seniors. 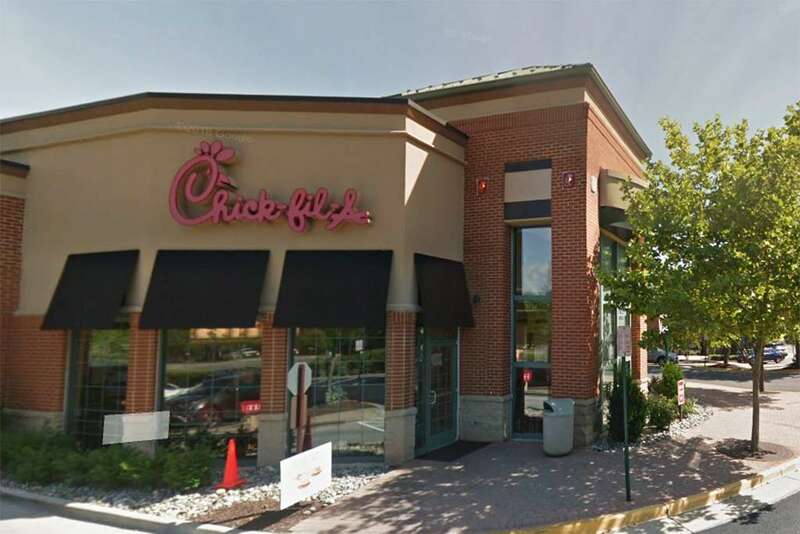 The Fairfax County Board of Supervisors approved the plans in October. The new building will replace the current aging buildings built in the 1970s with an eight-story apartment building with apartments offered at several tiers of affordability. The plan also adds 36 market-rate townhouses to help finance the housing project. 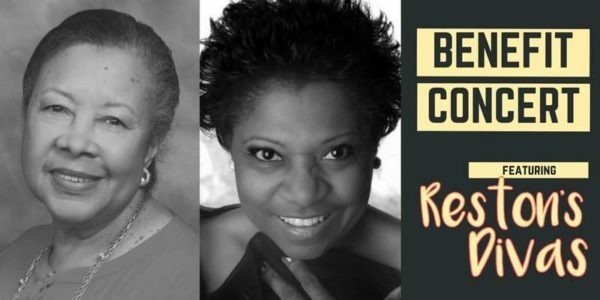 Reston’s Diva Duo, Beverly Cosham and Menda Ahart, will perform at a benefit concert at the United Christian Parish (11508 North Shore Drive) on September 14 (Friday). 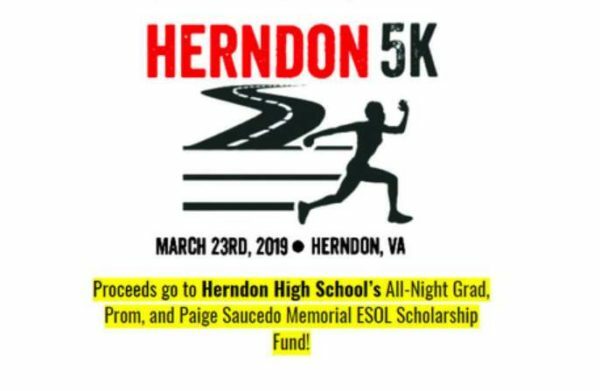 All proceeds from the event, which will take place from 7:30-8:30 p.m., will support Reston and Herndon residents who are at risk of losing their homes, electricity or water. Cosham is a Best of Reston honoree and has performed her cabaret act around the country. Ahart has been singing all of her life in church choirs. She is also a part of Mosaic Harmony, an interfaith, multicultural choir that draws on the rich heritage of African American inspiration music. Tickets are $25 and can be purchased online. Misha Tumanov and musician Michael Girdy will also perform during the performance by Reston’s Divas. 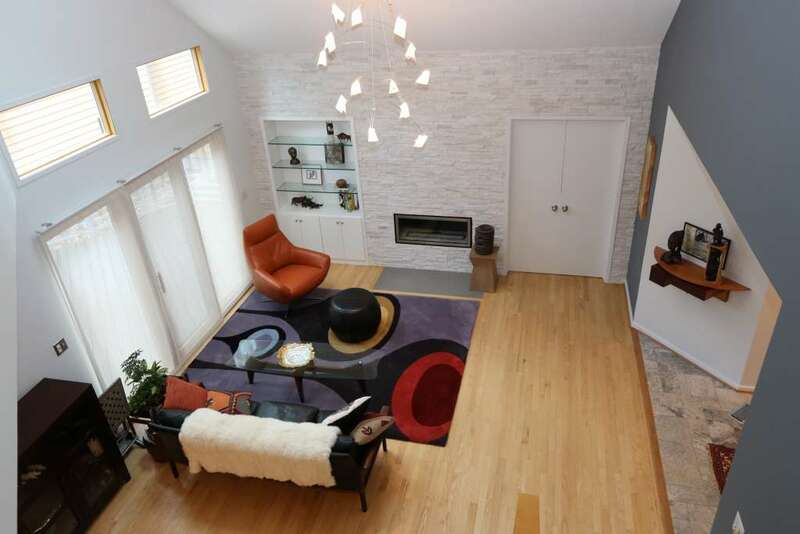 Beautiful homes around the community will be on display Saturday during the 16th annual Reston Home Tour. The tour “focuses on six homes whose owners have moved in within the last few years and whose homes have given them a new perspective on their life, their surroundings and in some cases their attitudes.” The homes on the tour include residences on Bromley Village Lane, Hemingway Drive, Orchard Lane, South Shore Road and Spyglass Cove Lane, as well as at the Stratford condominiums. In addition, Reston Association’s Lake House and Bozzuto’s Aperture apartment building will be open for tour. Tickets remain available online today for $30. 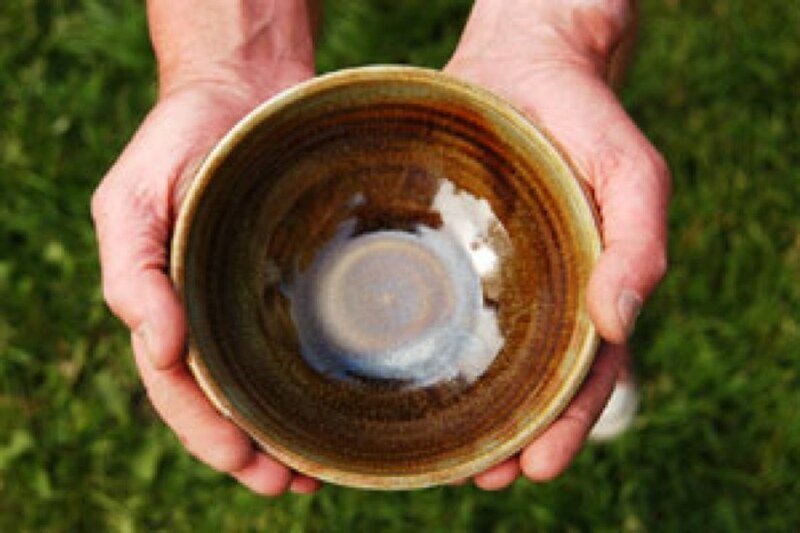 On the day of the event, they can only be purchased in person at any of the homes on the tour or at the Reston Museum and Historic Trust (1639 Washington Plaza N.). All proceeds from the event benefit the Reston Historic Trust and Museum, a 501(c)(3) nonprofit organization dedicated to preserving the past, informing the present and influencing the future of Reston through its educational programming, archives and exhibitions. 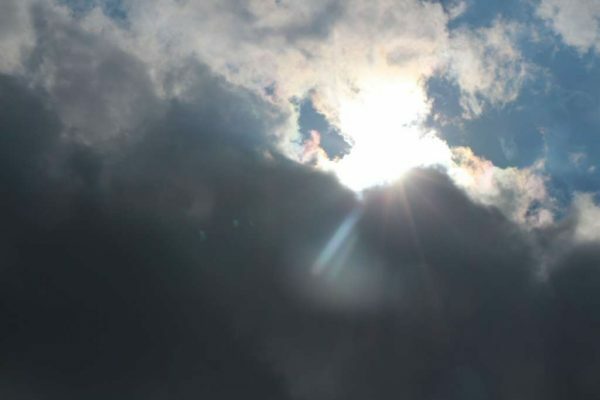 There is plenty else scheduled to take place this weekend in the area as well. Take a look at our list below. A trail of illuminated hand-carved pumpkins is welcoming visitors to “THE GLOW: A Jack O’Lantern Experience,” now through Oct. 29 at Lake Fairfax Park (1400 Lake Fairfax Drive). Presented by Townsquare Live Events, the “enchanting Halloween wonderland” features a third-of-a-mile trail decorated with more than 5,000 pumpkins. Tickets, which are $16 for kids ages 3-12 and $22 for adults, are available online and must be purchased in advance. Frying Pan Farm Park (2709 W. Ox Road, Herndon) will put on its Fall on the Farm festival this weekend. The event is scheduled for 5-9 p.m. tonight, 11 a.m. to 9 p.m. Saturday, and 11 a.m. to 6 p.m. Sunday. In addition, Farm Harvest Days are slated for 10 a.m. to 3 p.m. Saturday and Sunday. The Children’s Fall Flea Market at Reston Community Center is scheduled for 9 a.m. to noon Saturday, Oct. 14 at RCC Hunters Woods (2310 Colts Neck Road). The price of admission is donation of one non-perishable food item, which will go to the RCC Thanksgiving Food Drive. 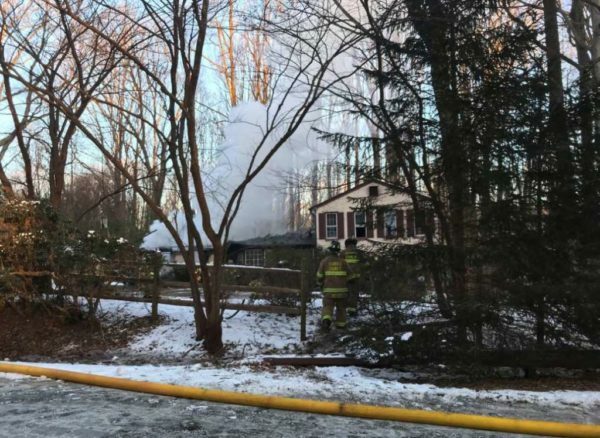 In celebration of Fire Prevention Week, all Fairfax County Fire and Rescue stations will be hosting an open house from 10 a.m. to 4 p.m. Saturday. Citizens are invited to meet firefighters, see the fire trucks, join in the activities and learn about fire safety. 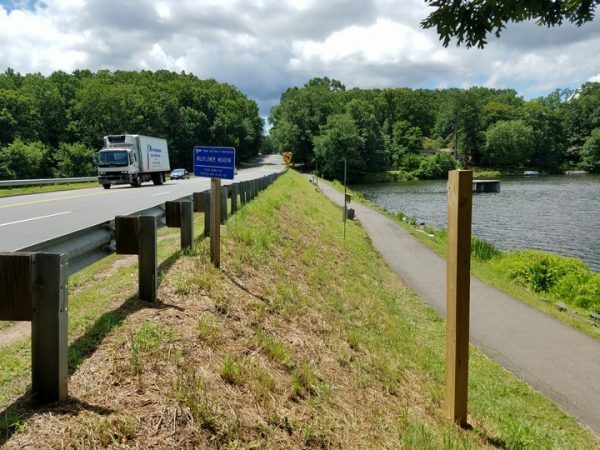 Local stations include Reston (1820 Wiehle Ave.), North Point (1117 Reston Ave.), Herndon (680 Spring St.) and Fox Mill (2610 Reston Parkway). Lake Anne Brew House will hold a fundraiser for the South Lakes High School band, which is raising money to travel to Pearl Harbor, from 7-9 p.m. tonight. The Brew House will donate $1 per pint or soda purchased to the band. The Leukemia & Lymphoma Society’s “Light the Night” Walk will take place tonight at Reston Town Center. Event festivities will start at 5 p.m., with the 1.5-mile walk to go off at 7. The Runway to the Cure Fashion Show is scheduled for Saturday from 11 a.m. to noon at the Reston Town Center pavilion. Hosted by Scout & Molly’s, RTC and Athleta, the fashion show will highlight many designer fashions. Models are volunteers and include breast cancer survivors, customers and local high school students. Suggested donation is $25. All proceeds will benefit Susan G. Komen Breast Cancer Foundation. During “Giraffe-toberfest,” celebrate fall with animals at Roer’s Zoofari (1228 Hunter Mill Road) on Saturday and Sunday from 10 a.m. to 4 p.m. Visitors can meet the zoo’s giraffe “Waffles.” Tickets are $20 and all proceeds will support giraffe conservation. Reston Association will hold an open house at The Lake House (11450 Baron Cameron Ave.) from 10-11:30 a.m. Sunday. Author Karen See will discuss her book, “The Should Syndrome,” from 4-6 p.m. Sunday at Scrawl Books (11862 Market St.). Many restaurants and bars in Reston will have live music this weekend. These include Crafthouse (1888 Explorer St.) every Friday and Saturday night from 10 p.m. to 1:30 a.m.; and Tavern64 (1800 Presidents St.) every Friday from 6-10 p.m; and Kalypso’s Sports Tavern (1617 Washington Plaza N.) every Saturday from 9:30 p.m. to 1:30 a.m. The Leukemia & Lymphoma Society’s “Light the Night” Walk will take place Friday night at Reston Town Center. Event festivities will start at 5 p.m., with the 1.5-mile walk to go off at 7. Light the Night walks are organized to raise funds in support of the mission of the LLS, which is to cure leukemia, lymphoma, Hodgkin’s disease and myeloma, and improve the quality of life of patients and their families. The Leukemia & Lymphoma Society’s Light the Night Walk funds treatments that are saving the lives of patients today. LLS is making cures happen by providing patient support services, advocating for lifesaving treatments and pioneering the most promising cancer research anywhere. And it’s all happening now. Not someday, but today. Each year friends, families and coworkers form teams to raise money in support of our mission. Residents interested in participating in the event can do so by registering to walk, donate to a team or individual, sponsoring, volunteering or just coming out to show their support. Friday’s event in Reston is one of three scheduled for the National Capital region. Others will be Saturday in Rockville and Saturday, Oct. 21 on the National Mall in DC. It is one of about 150 events scheduled across the United States and Canada. 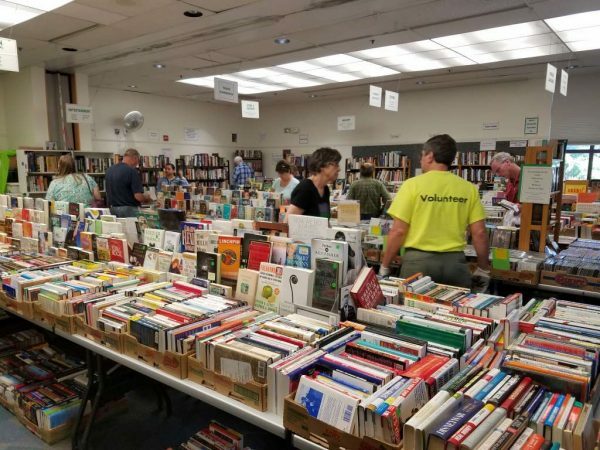 Thousands of books are available for purchase this weekend during the semi-annual sale by Friends of the Reston Regional Library. 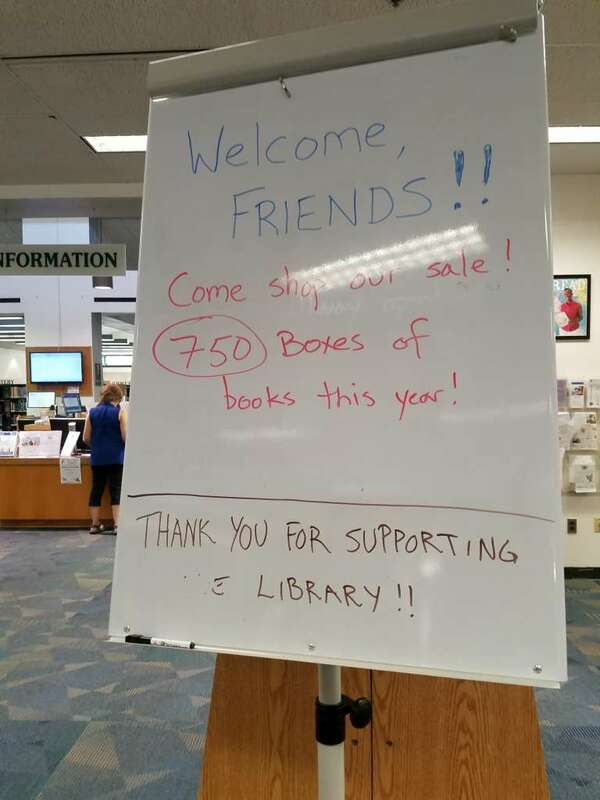 More than 750 boxes of books, CDs, DVDs and more were donated to the cause for this event at the library (11925 Bowman Towne Drive), which focuses on books geared toward adults. Science fiction, religion, romance, cooking, sports, history and many other genres of titles are available. Small paperback books are available for as little as 50 cents, with hardcovers books priced as low as $1.50. According to information provided by the Friends, the nonprofit organization has raised more than $700,000 for the library through its book sales over the past 15 years. In addition, it has been able to donate $200,000 to direct library support programs — including $100,000 in eBooks, $25,000 in children’s series books, a Braille printing station for the Access Services branch, librarian scholarships and more. The sale began continue through Sunday. It will be open tonight until 8 p.m.; from 10 a.m. to 5 p.m. Friday; from 10 a.m. to 4 p.m. Saturday; and from noon to 3:30 p.m. Sunday. The Friends’ next sale will be the puzzles and games sale, scheduled for Oct. 26-29, followed by its Holiday Sale in early December. A book sale for children, teens and educators is scheduled for March, followed by the Spring Book Sale in April. 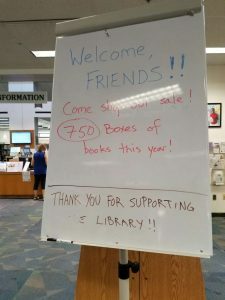 Friends of the Reston Regional Library is made up of nearly 100 active volunteers who donate over 10,000 hours a year to process donations, run sales and reach out to the community. For more information about Friends of the Reston Regional Library and its book sales, visit its website or its Facebook page, find it on Twitter, call 703-829-5467, or email [email protected].